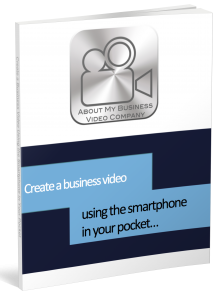 This eBook describes the pros and cons of using your Smartphone to create a business film. It’s full of useful do’s and don’ts about how to create a professional looking and sounding video! Just fill in the form below and we will email you a copy straight to your inbox! Create Your Business Film Using the Smartphone in Your Pocket! Just pop your details in the boxes on the right and click the button...! Pop over to your inbox for an email from us!